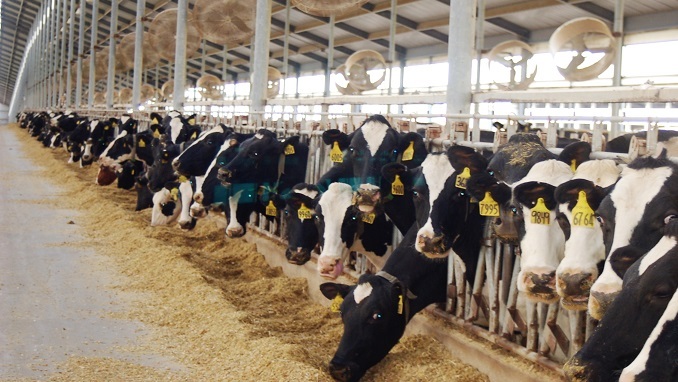 Milk production in Russia in 2018 amounted to 30.6 million tons, which is 455 thousand tons or 1.5% more than in 2017, according to data published by the federal state statistics service Rosstat. The output from agricultural organizations increased by 3.6% to 16.2 million tons, while farm production was up by 5% to 2.5 million tons, the agency said. Household production showed a decrease of 1.8% to 11.9 million tons. Rosstat data turned out to be slightly higher than experts’ forecasts. The Institute for Agricultural Market Studies (ICAR), estimated at the end of last year that the total production was to reach of 30.4-30.5 million tons, and the increase in marketable milk – at the level of 3.7% to 20.2 million tons. Artem Belov, executive director of industry organization Soyuzmoloko, predicted last year’s growth in the production of marketable milk by 3%, while consumption increased by 0.5-1%. Meanwhile, Russian experts have warned of a possible sharp increase in the price of milk in the country. According to the analysts, the rise in prices may be due to the tightening of requirements for product labeling. From mid-January, manufacturers of milk-containing products will have to indicate on the package information on the presence of vegetable fat in it. Experts believe that the introduction of such a label will increase the demand of buyers for natural milk, and this will inevitably affect the price of the product. Also among the reasons for the increase in the cost of milk is the increase in the value-added tax (VAT), the fluctuation of the exchange rate and the rising cost of gasoline, Fedpress reported.